The latest camera gear from Samsung for recording 360 videos is getting amazing responses from users due to its incredible features. 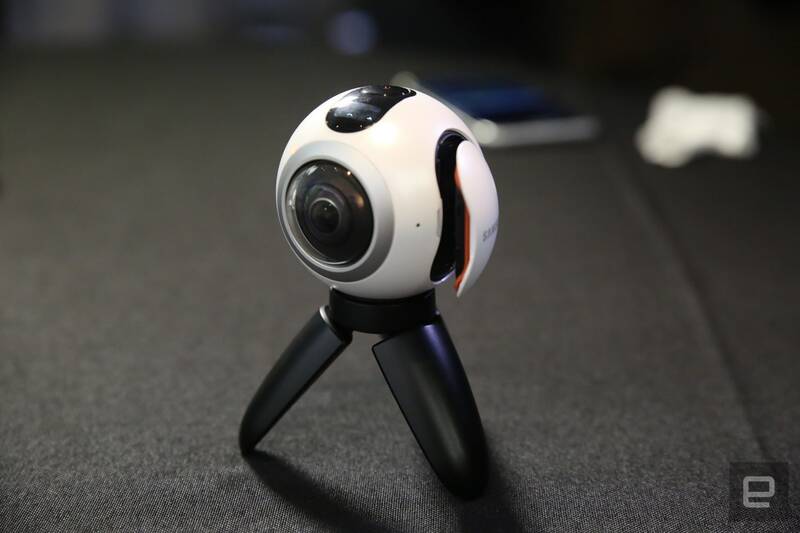 If you are also thinking about buying a new camera unit, then it is good to go through review of Samsung Gear 360-degree camera and make best decision for your investment. This year presented so many stuffs related to virtual reality world and surprisingly, it gave a new future to the world of spherical imaging. The latest most impressive gear from Samsung is proven to be loaded with all awesome features that are required to capture high quality 360-degree video. This time Samsung has definitely created an immersive content for its users that comes with durable, smooth and sturdy body and with its advanced fish eye lenses it can capture stunning 360-degree videos. This Samsung gear is developed with a very small size, double lens type camera focus that makes sharing and shooting of 360 videos much easier. The camera at bottom side is almost flat with a tripod mount attached; on the other side, the outer look of the device is well managed with only three buttons for menu, power and record. This camera is designed with dust resistant and splash proof features so you can use it anywhere without any worries. You will be glad to know about its huge memory capacity managed with a MicroSD card having memory capacity up to 128 GB thus you can easily store all your memories inside this device. When you have to transfer it to other device, you can achieve your goal through Wi-Fi connectivity, USB port and Bluetooth. It is going to be an interesting task to create 360-degree video with this latest gear of Samsung because of its incredible features. Here you will find a few useful buttons for selection of lens for 360-degree recording; which includes front, back and both collectively controls. The live view option allows you to select 360-degree recording, panoramic preview as well as dual view option. Never forget to select your mode while using this camera for 360-degree recording where you can make changes from still picture to 360 videos and on to time lapse mode. This high quality gear is designed to serve photography lovers at almost all locations; it will accompany you whether you are going on a tour with friends, on festival gathering or any other get together. Its light weight along with compact design makes everything much easier and accessible for indoor as well as outdoor activities. The lenses of Samsung 360-degree camera unit are able to cover wider part of frame even from edge to edge. Can capture amazing photographs even in low light. You will never find any chromatic aberration loss here. Users have observed a slight color difference between lenses that causes visibility of stitch line; however this issue can be fixed with Autopano. Performance of this device is disturbed with ghosting or flare. There is some trouble with the quality of the vertical orientation sensor. It serves with 30 mega pixel resolution that is observed to be highest among all cameras available for 360 video recording till now. There are limited controls for exposure. Lacks in true intervalometer feature. Can be recorded with 4K resolution. Amazing quality of audio and performance is awesome when used with Samsung VR gear. Overheating issues disturbed long hour videos. There are so many applications designed for photo editing and they work perfectly with photos and videos captured by Samsung 360-degree camera. After customization of your photographs you can easily post them on Facebook as well as YouTube by using 360-degree manager app or action director whereas Google Street View also works perfectly with this device. In order to share video content prefer to use Oculus Video app. Wi-Fi, USB 2.0 as well as Bluetooth. 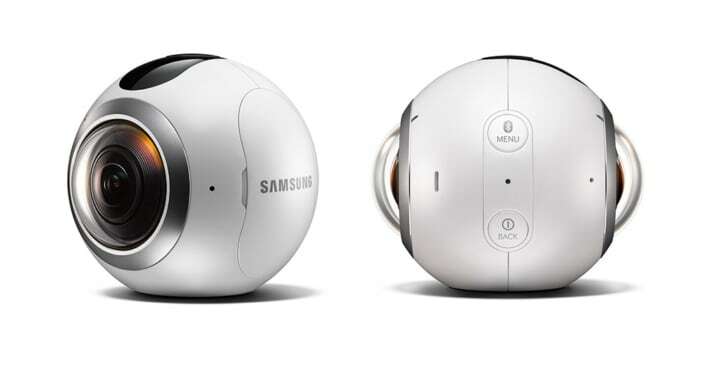 There are so many amazing features associated with Samsung 360 degree gear where resolution of images and videos is simply outstanding. Positioning of lenses is perfect with outstanding connectivity services. All such features along with an affordable price tag puts this Samsung gear on the top ranking and definitely it is a must buy product that can serve beginners as well as professionals with best quality results. ok i just shot a crap load of samsung 360 clips on vacation and when i edit with filmora and upload to you tube no stitching happens not cool! this is sad because i can upload unedited samsung 360 clips right to you tube from my note 5 and no problem! you tube just apparently knows that it needs to be stitched and it happens as it renders and uploads sweet ! but when i use your software and up load where is my option to stitch and convert and render it to 360, i want a button and for it to work ! ok you guys time to accept the new mission or tell me how to use your software and make it all work! i want my 1440/60 360 edited videos to get published! make it happen for me asap please and u kin doooo it!